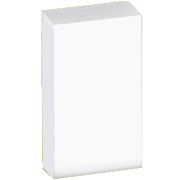 Manage your important tasks or jot down your to-do list with this illustrated notepads. ..
Who said Sticky Notes have to be yellow? 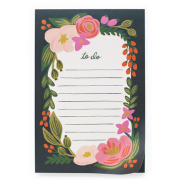 Add some style and flair to your notes and reminders wit..
Trade in your old sticky notes for some fashion forward office supplies by kate spade new york®! .. Whether taking notes or jotting down your next brilliant screenplay idea, these kate spade new yo..
200 Sheets - Refill ..
Includes Pencils and Paper. 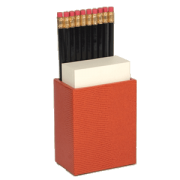 Pencil Caddy memo sheet refills item number: R575. Pe..
Evening strolls along the Champs Elysees. Champagne and fromage after a day at the Louvre. Evoke ..